Here in Indiana there's probably less foot traffic in and out of your home this time of year. However, that doesn't mean that your floors aren't taking a beating. Salt or other ice melting chemicals, puddles from melted snow on boots, dirt and rocks tracked inside... what can you do to protect your floors this winter? 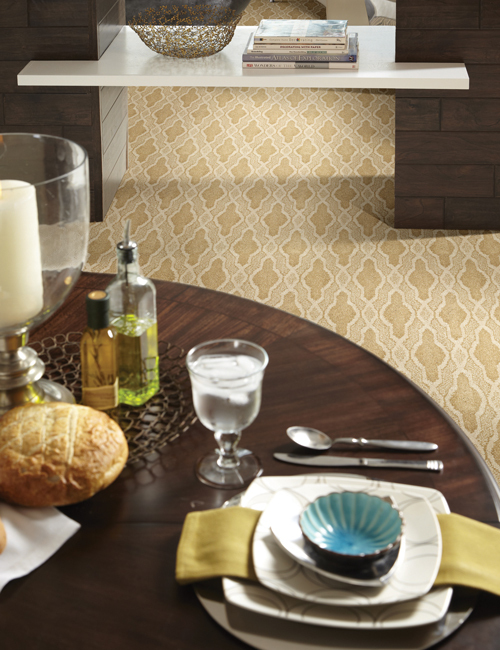 Read on for tips from Indianapolis carpet store Kermans. More rain, snow, dirt and debris is likely to be tracked into your house over the next few months than at any other time of the year. Before you resign yourself to vacuuming twice a day (or locking the doors and not letting anyone visit), try these four simple recommendations. Place floor mats both outside and inside all doors. A mat inside the doorway can help soak up moisture and dirt before it hits your carpet. A mat outside encourages people to stomp or wipe some of the dirt off their shoes before entering. And while we're talking about outside, keep your stoop and front sidewalk clean to help eliminate some of that tracked in debris. If you have a carpeted entryway or main hallway, vacuum it more than once a week this time of year. These main walkways hold most of the dirt that is tracked in the house - eliminate that soil and you're helping keep other floors clean as well. You are likely to have more dirt and mud tracked in this time of year and those can do damage to your carpet if not tackled right away. Be prepared for those stains to keep your carpet looking its best. We recommend using the Carpet & Rug Institute's Spot Solver. One of the simplest and most effective ways to reduce winter's wear and tear on your carpet? Remove your shoes at the door. Invest in a few good boot trays and place them just inside all entry doors. Have people leave their shoes and boots at the door and you'll see far less dirt and moisture on your carpets. Looking for more carpet care tips? Check out Kermans free carpet care guide.